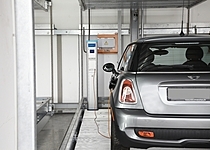 The TrendVario 4200 can be used to park two cars on top of each other; the parking spaces can be shifted vertically or horizontally. No pit is required. 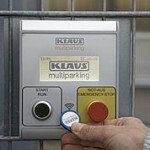 The parking space selected is moved to the desired position by means of an automatic control system. An empty space allows independent parking. 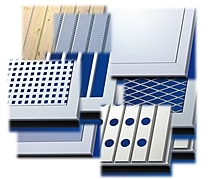 The access level is secured by doors which can only be opened once the shifting process is completed. Therefore, cars are protected against theft and vandalism. 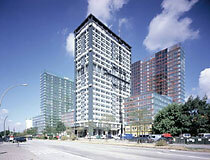 The system offers space from 3 to 29 cars. 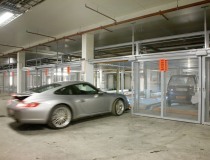 With Parking Automats, one vacant space on the entry level allows for horizontal and vertical shifting of all platforms. Just press a button, and the system automatically moves the platforms in the desired position. An access/exit lane must be available on the entry level, complying with the local regulations. This system can also be installed into small walled-up rooms. It mobilizes the existing space by using it the best possible way.